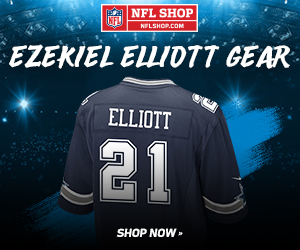 Okay, Dallas Cowboys fans, we’ve gotten past the first preseason game and now we’re gearing up for the second game this coming Saturday, August 18 against the Cincinnati Bengals. Here are my top three players that need to perform if they want to get on the 53-man roster. Brown had a good rookie year in 2016, but he was overshadowed by the likes of Dak Prescott and Ezekiel Elliott. He failed to impress his sophomore year and was benched towards the end to the season. This summer Brown has been impressing at times during training camp. It’s likely that he will be competing against 2nd-year veteran Jourdan Lewis for the remaining slot cornerback position. Despite Brown doing well at training camp, his performance against the San Francisco 49ers was lackluster. He was called for pass interference at the end of the 2nd quarter, thus giving the 49ners a 21-yard gain and allowing them to score just two plays later. If Brown continues to under-perform during the preseason, you can bet that Jourdan Lewis will be hot on his tail. Two years ago, there was a lot of hype surrounding the 6th round draft pick. He has yet to play in one regular season game during the two years he’s been with the Cowboys. During the first preseason game, Gathers only played 16 snaps and caught one pass for nine yards. This past Sunday, however, he turned heads with a great catch during practice. There’s an every-day aspect of it. Coming in, critiquing the blocking, and just being an every-day guy. You can make that catch one day than, shoot, and you don’t make no more catches for two weeks later like that. The main thing for Gathers is run-blocking. If he doesn’t show up and prove he can block, then I expect he won’t make the roster-again. Last season Lenoir was on the practice squad after being signed as an undrafted free agent out of Western Illinois. He was moved to the active squad before the final game. This summer, he has been making great plays during training camp. Last Thursday he made a fantastic diving catch tapping his feet in bounds for the TD. Right now, current WRs that are likely to make the roster include: Terrance Williams, Allen Hurns, Cole Beasley, Michael Gallup, and Tavon Austin. That’s five already, and that’s not including Deonte Thompson and Noah Brown. Thompson is currently injured but was brought on by the new WR coach Sanjay Lal so he has an ally there. Brown was good enough to make the roster last year. Lenoir needs to continue making big plays during the preseason if he wants to make the squad. We’ll be watching. Staff writer covering the Dallas Cowboys | I grew up in Dallas and played HS and club soccer. I'm an avid sports fan and can remember going to Super Bowl parties with my parents in the 90s. That's when my love for the Cowboys began. I also happen to share a birthday with Mr. Aikman himself! I have my Master's in Nurse Anesthesia and work locally in the DFW area. I'm passionate about music, art, sports, traveling and my french bulldog, Zoey. I still play soccer and like to stay active.